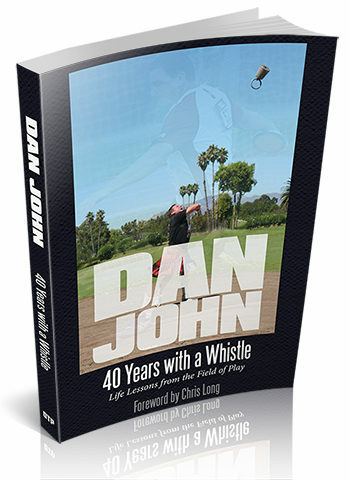 Dan John’s new book, 40 Years with a Whistle, represents 40 years of coaching tips woven into a touching memoir of a coach’s life. “’Unputdownable’ is a cliche in book reviews, however, I literally read this book from start to finish in one sitting. I have always been a huge fan of Dan’s writing and in “40 Years With a Whistle” I think he has surpassed himself. 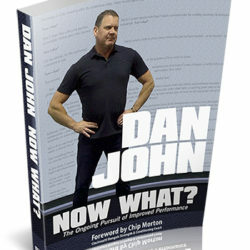 Like Dan’s previous work, the book is immensely readable and crammed with deep wisdom, training ideas and programmes, truisms, anecdotes and jokes. As always, the material presented transcends sport, and Dan offers a wealth of life lessons. Dan John has been performing as an athlete for six decades. 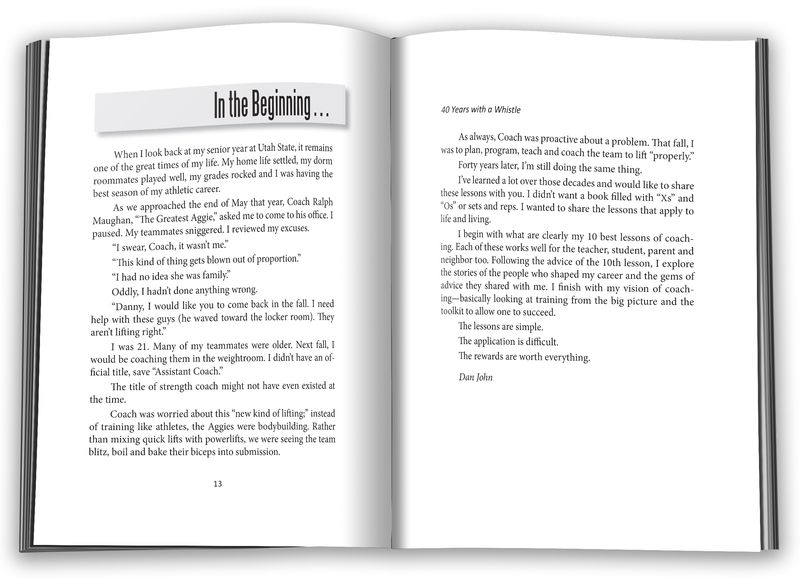 His coaches—the mentors he describes in this book—steered him on the narrow path toward success in both sports and life. These coaches emphasized performance, yes…but they all also insisted on the balance of health, fitness and longevity. I’ve learned a lot over those decades and would like to share these lessons with you. I didn’t want a book filled with “Xs” and “Os” or sets and reps. I wanted to share the lessons that apply to life and living. I begin with what are clearly my 10 best lessons of coaching. Each of these works well for the teacher, student, parent and neighbor too. Following the advice of the 10th lesson, I explore the stories of the people who shaped my career and the gems of advice they shared with me. I finish with my vision of coaching—basically looking at training from the big picture and the toolkit to allow one to succeed. The rewards are worth everything. The lessons learned on the fields and in the gyms will lead to a successful life. Hop on board. 10. Take a moment to appreciate those who went before you. To enjoy Dan’s life lessons from the field of play, order your copy today. Dan spends his work life blending workshops and lectures with full-time writing and teaching religious studies as an instructor for Columbia College of Missouri. His other books on strength include Now What?, Before We Go, Can You Go?, Intervention, Never Let Go, Mass Made Simple and From Dad to Grad. 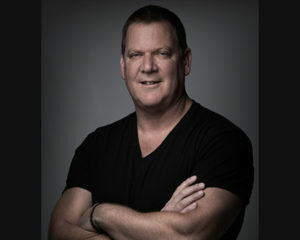 He co-wrote Easy Strength with Pavel Tsatsouline and Fat Loss Happens on Monday with Josh Hillis, and is already at work on his next book on strength training and coaching. I don’t know how Dan keeps doing it. Book after book the knowledge keeps being shared. Dan is an amazing coach. He has the ability to bring wisdom on the field and in the weight room. He also has a gift of taking his knowledge and experience and transferring into written word with great stories. Thank you again for another great read. Just wow… Want to glean from Wisdom and learn how to lead to be a better coach, teacher or simply be the best you possible? This is what you’re looking for. Acres of diamonds in this book… So well done. 6×9 paperback, 369 pages, indexed. ISBN-13: 978-1-931046-42-8.